The best place to enjoy the Super Bowl isn't Colorado, or South Carolina, or even wherever that stadium is in California. It's in Las Vegas. Why? Because 296,000 people are expected to be in town over the weekend, spending around $124 million at bars, restaurants, and yes, you guessed it, casinos. So hit that ATM, pack your finest Broncos or Panthers gear, and check out everything you need to know about enjoying the Super Bowl in Las Vegas. Ok. Your first priority is placing a bet, and the Westgate should be near the top of your list. 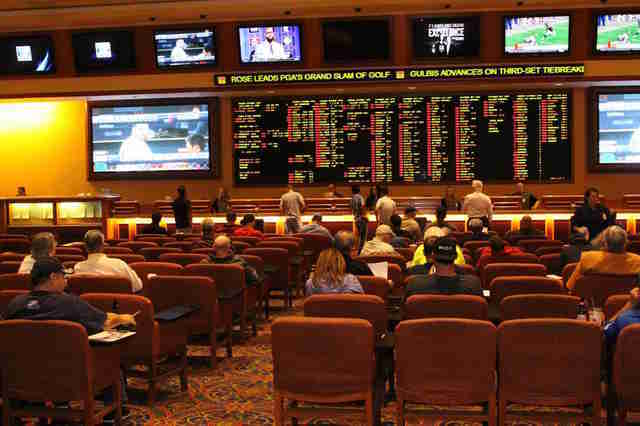 It's home to the SuperBook, which is the largest sports book in the entire state of Nevada. It's even bigger now (in a virtual sense) with the introduction of a new smartphone app that allows you to place a bet from anywhere in the entire state. You'll have to register at the Westgate first. One of the oldest and most popular sports books is sandwiched between OMNIA nightclub and the new Vista cocktail lounge. Book in advance for VIP Super Bowl packages with guaranteed seating, a tailgate style buffet, and bottomless drinks that include wine, champagne, and beer. 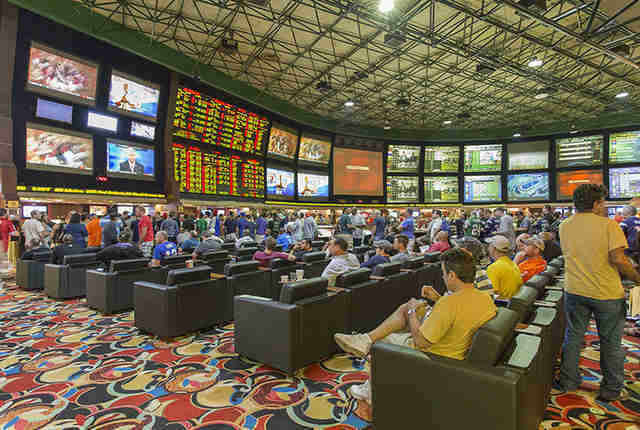 The Cosmo is renovating and relocating its sports book in time for the big game. 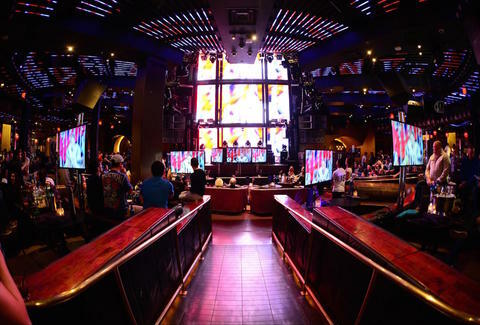 It's now twice the size and loaded with LED screens, as well as VIP areas with private 90-inch HD TVs. If the game turns into a snoozefest, there's also shuffleboard, foosball and billiards to keep you busy. A viewing party will be held inside the Grand Ballroom with food and drink deals, including $20 Budweiser beer buckets, $5 sandwiches, and $1 hot dogs. And the best part is you won't even need to leave your seat to bet. Just place a wager on your phone through the Nevada Sports Books app, with lines set by the South Point Sports Book. The sports book is known for having some of the brightest, clearest, and largest video screens on the Strip. It also has a mobile app (CG Casino) for betting anywhere inside the Venetian and another (CG Sports) for betting anywhere in Nevada. The all-inclusive buffet is $200 per person, but one of the best for watching the big game on the Strip. It includes hot dogs, sliders, and a build-your-own tacos and nachos station. Wash it all down with buckets of Bud and Bud Light, or a choice of Cabo's tequila-soaked signature cocktails -- all included. This sports bar has more than a hundred HD screens, including a huge projection screen that can be viewed with stadium style seating. There's also food from celebrity chef Emeril Lagasse, private luxury boxes, and if you need to make a last minute wager, the venue's own sports book. 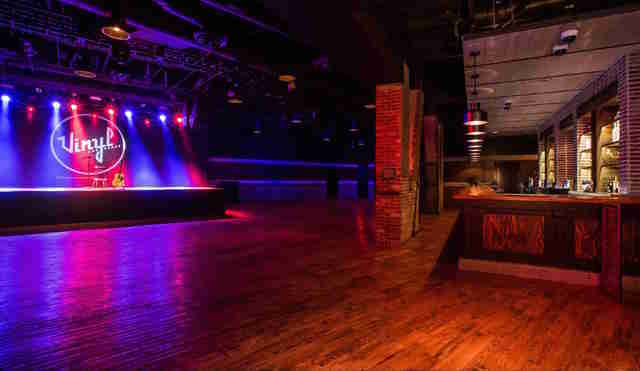 The $200 VIP packages include an open bar, guaranteed seating, and a $25 food credit (for a table of four). Your first priority is to order the fried avocado tacos. You second priority is to ride the mechanical bull. This new spot from the best baseball player to be denied the hall of fame is offering plenty of drink specials for the big game, including $5 drinks made with Skyy Vodka, Espolon Tequila, Wild Turkey, American Honey, and Fireball, as well as 16oz Modelo drafts. The space is massive, with TVs literally wrapped around the walls. You won't miss a second of the game. The world's biggest Hooters may be offering the best value for watching the Super Bowl. Admission is $50 but that includes five drinks. The all-you-can-eat buffet has a taco cart, chip and dip station, popcorn, wings, hot dogs, and Sloppy Joe's. The $195 price tag that gets you in also includes unlimited draft beer, house wine, and well cocktails. 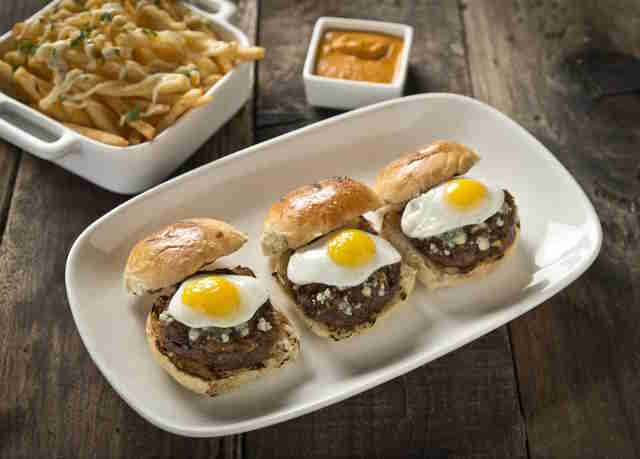 Mario Batali's burger spot is offering a $150 all-you-can-eat Super Bowl party where nothing on the menu is off limits (except for the lobster roll). And best of all… boozy milkshakes are included. 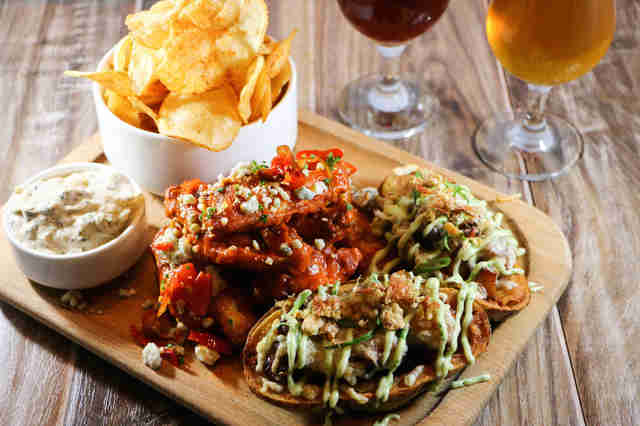 Tom's Urban already has one of our favorite Bloody Marys and now it's offering an open bar and buffet with a nacho and taco bar, chicken wings, and all the different pizzas on the restaurant's menu. Check ahead for pricing. How's this for a deal? A $35 all-you-can-eat menu that includes meatball sliders, pizza, deviled eggs, Buffalo chicken sandwiches, and a bunch of other cool stuff. Continue to keep costs low with $10 pitchers. The $80 all-you-can-drink special features select beers, wine by the glass, and well drinks. There will also be a Pigskin Platter of potato skins stuffed with pork belly, gruyere cheese, and onions, as well as beer brined chicken wings with gorgonzola dip and chips with onion dip for $22 (or $30 with two draft beers). Munch down on tray-passed bites worthy of any tailgate party, like chicken gyros with cucumber dill sauce and pulled pork hoagies. 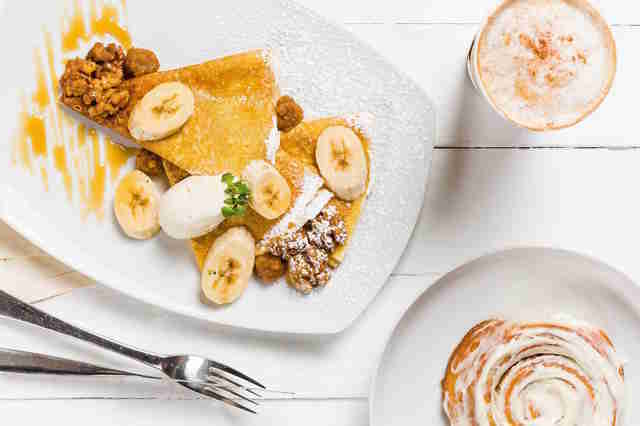 It's all-you-can-eat for $85. Craft beer buckets are $45 and feature Brooklyn Brown Ale and Speakeasy Double Daddy IPA. 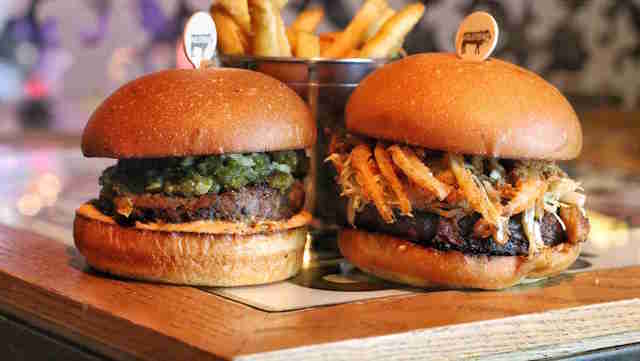 Take sides and choose a burger in honor of each team squaring off in the Super Bowl. 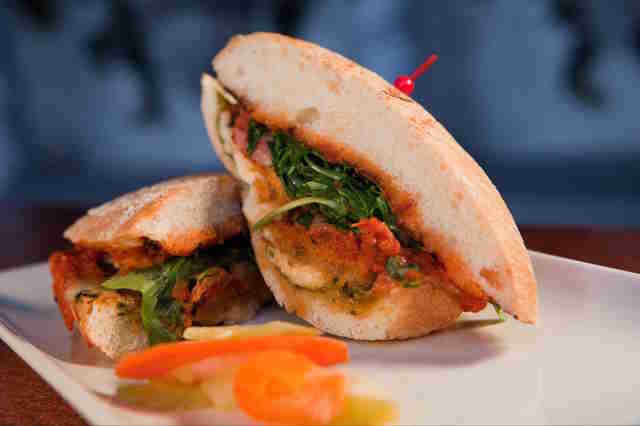 The Bronco Burger is made with Colorado lamb and topped with green chilis, swiss cheese, and tomato-cumin aioli. The Carolina BBQ Burger is topped with pulled pork, vinegar slaw, and crispy onion straws. Both locations are serving up a $50 menu of unlimited small plates that include avocado sliders, chicken nachos, and spicy BBQ ribs. 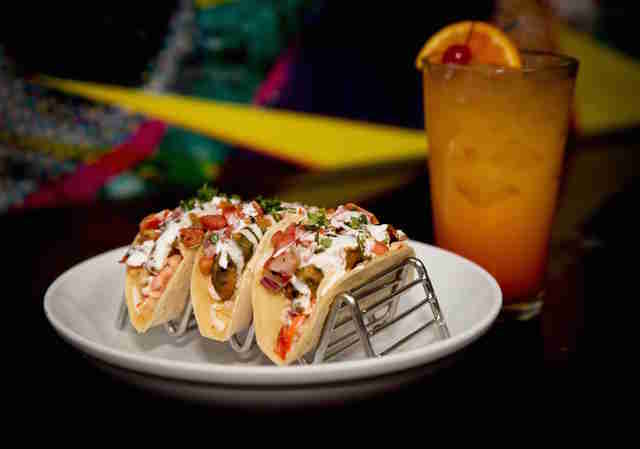 It compliments a choice of bottomless beer, margaritas, sangria, or mimosas for $30. You've got two options depending on how much you want to drink. There's a $65 menu of unlimited food that features catfish sliders, chicken pot stickers, quesadillas, and five different milkshakes. Or you can upgrade to the $150 option, which includes everything on the food menu plus an unlimited selection of well drinks and beer. The STK Brunch Club (which is the best new boozy brunch in Vegas) has a special edition for Super Bowl Sunday. Truffle popcorn, tuna tartare, smoked salmon, and potato skins will be featured in a spread of unlimited family-style appetizers along with a choice of entree for $80. Add in a three hour bar package for $95. In addition to watching the big game, you can enjoy tons of tasty Italian food, like penne alla vodka and chicken parmesan for $85… or you can choose the $150 option which includes the buffet, plus a premium open bar… or the $200 VIP package, which throws in a carving station and fresh seafood. The Bud Light Girls will be around to get the party rolling with games, prizes, and an all-you-can-eat specialty menu for $75 featuring short rib sliders, duck fat fries, and more things of that nature. Unlimited bites, like chicken wings, Angus mini burgers and Mexican street corn, will be passed around for $85 per person. Beer bucket deals start at $30. The all-you-can-eat game day menu is a steal at $39, with meatballs, Italian subs, Buffalo wings and, of course, cannolis and cookies being offered. $20 mix-and-match beer buckets are available in the bar and lounge area. 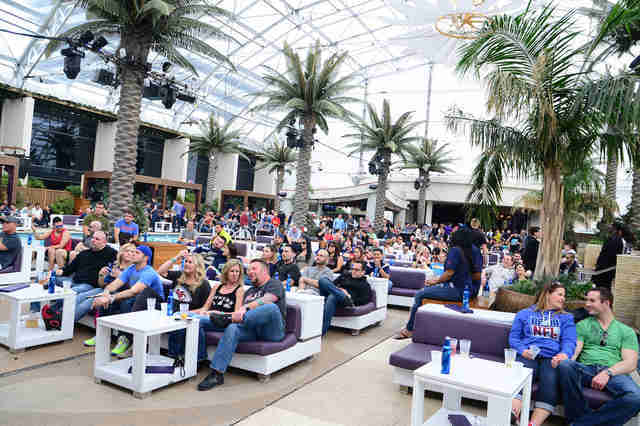 One of the most popular nightclubs on the Strip will be decked out with screens showing the big game, both indoors and outdoors, as part of the "Q Bowl" celebration. $65 wristbands will be offered for either an open bar or buffet (featuring truffle mac & cheese, lamb chops and other goodies). If you want both, it's $125. The Bikini Brigade LA will be on-hand to host a viewing party with an open bar and small bites from the Lago restaurant next door for $175. Table packages start at $750. The game will be playing throughout the venue, but if you have a group of friends you may want to choose The Field Goal; a package that includes a table for four, bottle service, and a bucket of Coors Light for $1,000. If you just want a single VIP seat with two drinks included, it's $125. The Tao Bowl celebration includes a three-hour open bar with a buffet of Asian-inspired cuisine (such as orange chicken or pork belly fried rice) for $135. The stylish lounge might be the most comfortable place to watch the game. Open bar is $60, but you can upgrade your package to include table seating and food from 800 Degrees Pizza. 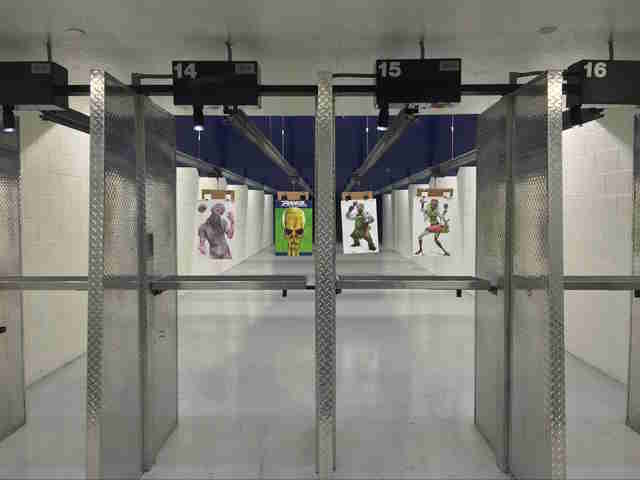 The gun range is offering something different for the Super Bowl, with the ultimate viewing party in an all-inclusive VIP suite. It's large enough for up to 30 sports fans, with full food service and four lanes of private shooting. The Hydrant Club will be hosting a free pregame party at the Container Park from 11am-2pm where dogs are invited (as long as they are under 45lb and there is proof that shots are up to date). There will be free doggie treats, toys, and specials on beer and BBQ. 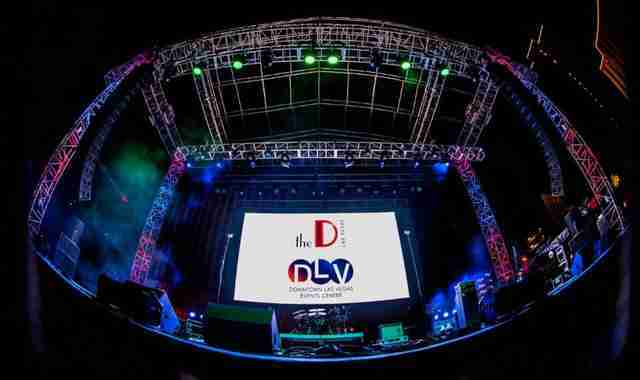 The downtown outdoor concert venue will be turned into a massive Super Bowl party, with a 20,000-square foot tent decked out with giant HD televisions, surround sound, and food and drink deals. Need something to grab-and-go? You'll be the savior of the party with one of two options in honor of the Super Bowl contenders. The "Broncos" package includes ten rotisserie chicken halves, veggie couscous, salad, pita bread, and hummus for $159.99... while the "Panthers" deal gets you ten chicken skewers, ten steak skewers, veggie couscous, salad, pita bread, and hummus for $199.99. The Plaza hotel will host a viewing party inside the Sierra Ballroom. Football fans will enjoy an open bar, raffle, and stadium food buffet for $100. You can also place a bet at the nearby William Hill sports book. Rob Kachelriess is still wondering how Coldplay got the Super Bowl gig. Follow him on Twitter @rkachelriess.